Video surveillance as part of a security system is highly effective for crime prevention, detection and verification. Often overlooked are other benefits arising from the installation of a system, such as retail traffic monitoring, process monitoring and even as an advertising tool when tied to a web page. Once our experts install, set up and demonstrate to you how the system works, you will have 24/7 live footage to protect you from theft and lawsuit. Our call centre also allows us to help with technical issues remotely which minimizes extra costs from sending technicians out to your site. Experiencing a robbery is everyone's worst nightmare. A security system is the first line of defense against loss due to theft and other risks. Our operators are trained to identify incoming alarms and to notify the appropriate authorities needed for response. From basic alarm systems, to integrated automation, surveillance and access control systems our team has the capability to design install and service any sized project. From individual homes to campuses such as Blue Mountain and even full County wide systems such as the one installed throughout Huron County we are here to protect you. We offer a wide variety of Entry systems for small, medium, and large sites either with access control, or standalone telephone entry access only. 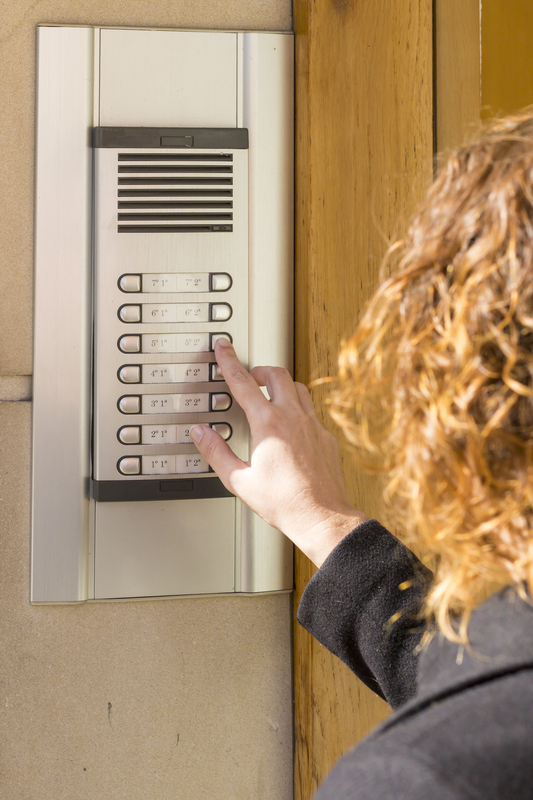 Our systems provide visitor access control to apartment buildings, gated communities, condominiums, office buildings, and industrial sites. A tenant communicates directly with a visitor using the system and can grant or deny admittance directly from a telephone land line or cellular phone with the touch of a button. The systems are simple and easy to use and can be remotely managed if there is an internet connection. Managing access can be difficult whether its 20 or 20000 people. Door access gives you full control over the movement of workers, customers, and other visitors in your facility. 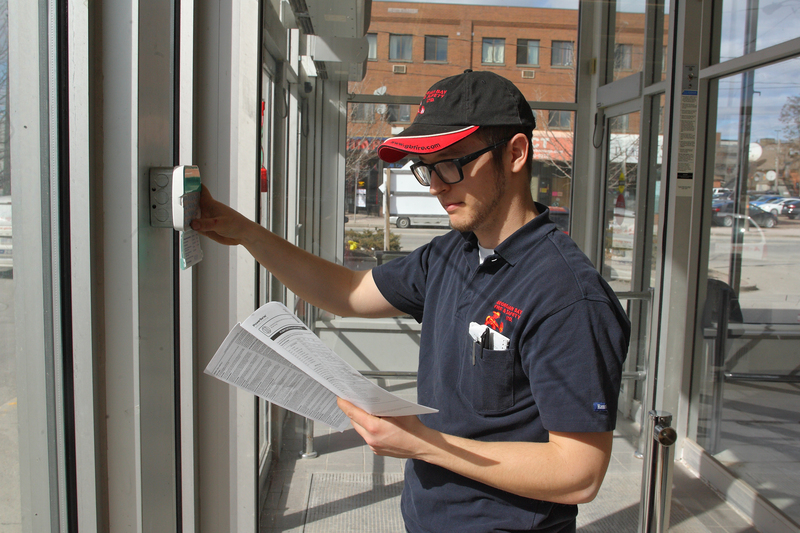 Georgian Bay Fire & Safety provides turn key access solutions from a simple single door mechanical lock to full campus wide access control with badging and elevator control. Our systems are feature rich with off-site management, key personnel override options, we can even delay unlocking your front door until you are assured an employee has arrived for the day. Please speak to one of our representatives who can help you make your property safer, enhance your management information and make staffing/resident changes easier to manage. In most cases it will even save you money over conventional locks. 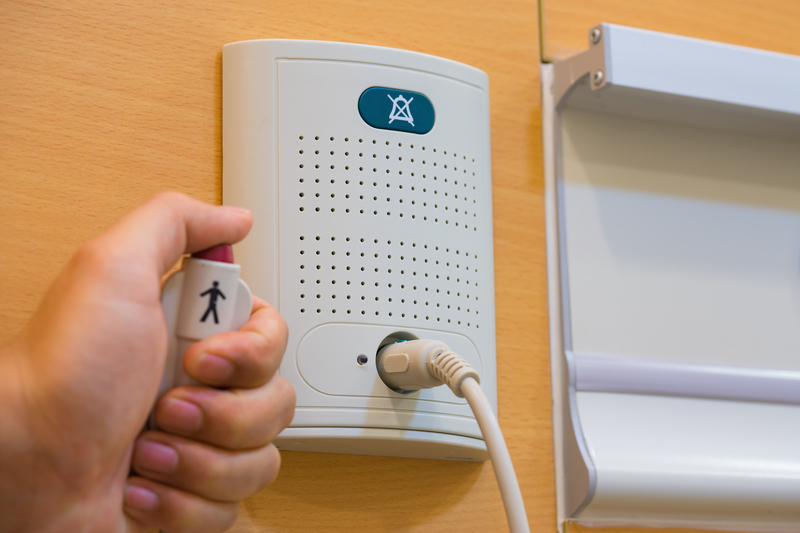 Wireless and wired assisted living systems are a perfect solution for senior living facilities. 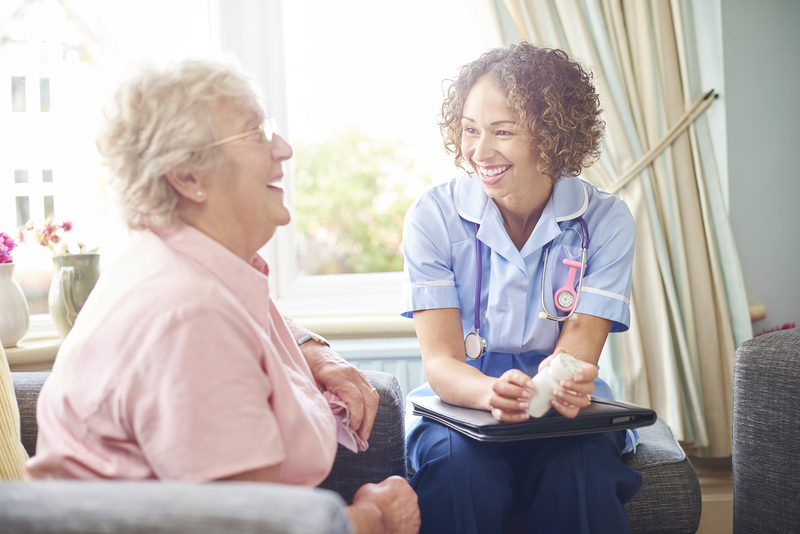 With fixed or mobile wireless devices, our Wireless Nurse Call / Emergency Call System provides residents with the safety, independence and peace of mind they deserve. The System with touch screen master and crystal-clear audio provides residents in skilled nursing areas with the additional comfort of two-way communication. All of our nurse call systems are UL®1069 Listed with call stations, pull-cord stations, staff assist stations, and corridor lights. We offer various levels of nurse call systems—from a basic audible-visual system, to the latest microprocessor-based system with patient reporting and wireless communication. Our nurse call systems are flexible enough to adapt to future needs and allows for integration of future systems, Reporting capabilities allow your staff to not only track efficiency, but they protect both the patient and your staff by providing solid data in the event of a problem. Alerting devices such as pagers, wireless phones and smart phone notification increase mobility and productivity by sending calls to them almost instantaneously reducing the need for annoying audible alarms.